The first mission founded in Alta California. The mission was destroyed by a Native American attack in 1775. The U.S. Army used the mission as barracks from 1853-1858. The church was made of stone. 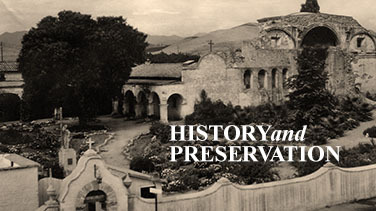 Served as the headquarters to the California missions 1770-1803. Father Serra is buried here. The first Christian wedding took place here in 1773 between a Native American and Spanish soldier. The first mission to make and use fired clay roof tiles. San Antonio was known for superior breeding of stock horses. San Gabriel had the largest vineyard of the Alta California missions. The church looks “fortress like” and is modeled after a cathedral in Córdoba, Spain. The mission had the second largest vineyard in Alta California. John C. Frémont and his “California Battalion” used the mission as their base of operations during the Mexican-American War. Survived the earthquake and fire of 1906. The movie Vertigo, with James Stewart and Kim Novak, was filmed here. 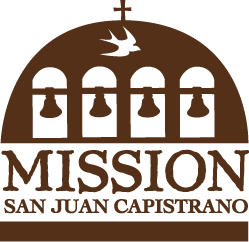 San Juan Capistrano was founded twice, once in 1775 but due to the revolt in San Diego, it was abandoned and then refounded in 1776. 1812 earthquake destroyed the Great Stone Church. World famous for the Cliff Swallows migration every March. The mission site was relocated three times. The church was rebuilt six times because of various natural disasters. 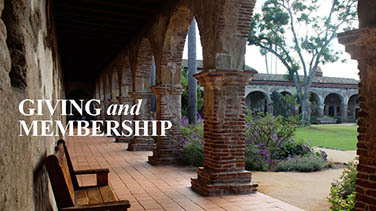 The mission site became Santa Clara University and is the oldest university in California. San Buenaventura was supposed to be the third mission but its founding was delayed 13 years and so it became the ninth mission. In the 1890s, a misguided resident priest demolished all the mission buildings and remodeled the church in a Victorian style. After secularization in 1833, Santa Bárbara became the mission chain’s headquarters. Father Narcisco Durán made the mission the archival headquarters and still holds an archive of over 3,000 items dating back to the mission era. Santa Bárbara is the only mission operated by the Franciscans since its founding. In 1824, a Native American revolt took place lasting solely one month. The National Park Service and the Civilian Conservation Corps restored and reconstructed the mission in the 1930s and 1940s. La Purísima Concepcíon is operated by the California State Parks. Santa Cruz is the only mission to have a tidal wave natural disaster. The first autopsy in California was performed at the mission on Father Andrés Quintana in 1812 to determine if he had been poisoned. José Joaquín de Arrillaga, the first Spanish governor of Alta California, died while visiting and was buried beneath the church floor. A Native American revolt occurred in 1828. The Native American leader was Estanislao. His struggle became legendary and his name anglicized to “Stanislaus” which became a prominent place name for local rivers, forests and landmarks. San José was renowned for the orchestra and choir led by Father Narciso Dúran. A smallpox and measles epidemic killed over 150 people in 1806. Fr. Estevan Tapis led the renowned Native American boys choir of San Juan Bautista. The movie Vertigo with James Stewart and Kim Novak was filmed here. Donner Party survivors, The Breen Family, used the storeroom (present day giftshop) as a temporary home in 1847. Pio Pico sells the mission in 1846 to William Reed, who uses the mission as a family home. Two years later, the Reed family was mysteriously murdered. Between 1848-1870 the mission was rented as a store, dance hall, offices and a saloon. In 1821, San Fernando finished the longest building recorded in the mission chain, making it a total of 243 feet long. Restoration of the church was financed in part by selling thousands of candles for a $1.00 each in 1916. Pablo Tac writes the first primary account by a Native American called Indian Life and Customs at Mission San Luis Rey: A Record of California Mission Life. In the 1950s, Walt Disney Studios used the ground to film the Zorro television series. A Native American revolt begins in 1824 after a soldier beats a young boy. Santa Inés is one of the only missions to have gristmill ruins dating back to 1820. San Rafael Arcángel was originally dedicated as a hospital in 1817 and five years later was given mission status in 1822. A Native American revolt led by Chief Marin and Quintin in 1829 damaged many of the buildings. John C. Frémont used the mission as his headquarters during the Mexican American War. San Francisco Solano was the only mission founded during the Mexican rule of Alta California.